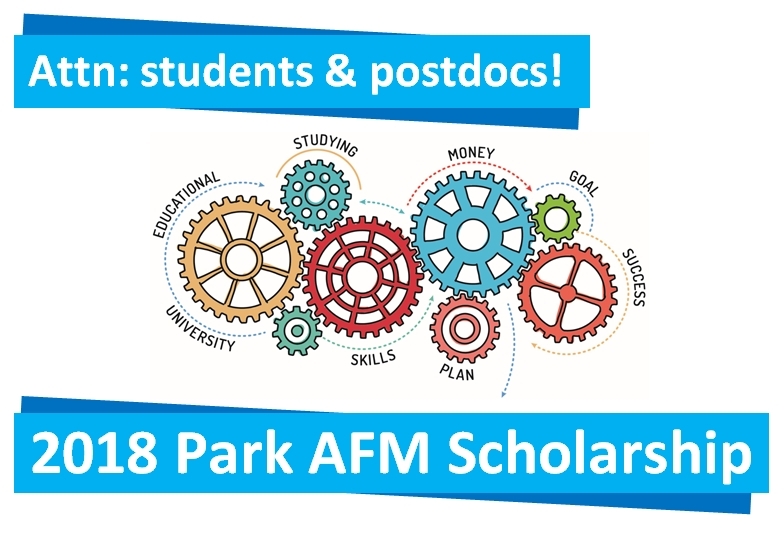 Park Systems Park AFM Scholarship Award is eligible to postdoctoral students or researchers working in nanotechnology research using Park AFM. Park Systems will locate a Park AFM for those who do not have access to that system but wish to use it for their scholarship application. As progress for nanotechnology research and development advances at an unprecented rate, universities world-wide offer degree programs in nanotechnology. 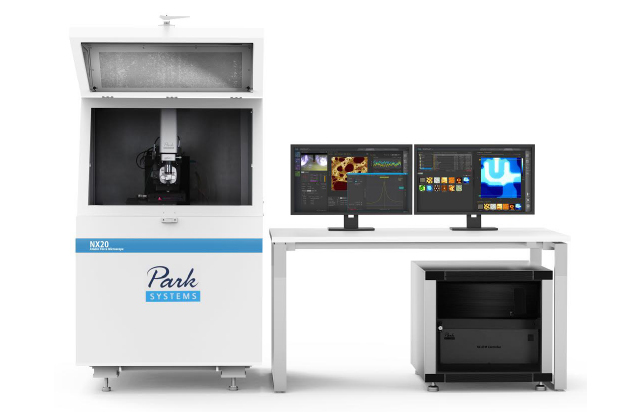 Park Systems, world-leading manufacturer of Atomic Force Microscopes is offering two monetary scholarships to promote the education of future scientists and engineers in a number of nanoscale research areas that require advanced nano microscopy for analysis and to promote shared research findings and methodologies amongst researchers. Jamey Gigliotti is a PhD candidate at the Georgia Institute of Technology in the School of Materials Science and Engineering. 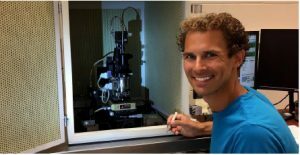 He began his tenure at Georgia Tech studying the growth of nanoscale piezoelectric films before joining the Epitaxial Graphene Lab where he continues to work in close collaboration with researchers at Georgia Tech Lorraine in Metz, France. Before coming to Georgia Tech, Jamey completed his undergraduate education at Penn State University, a few hours from his hometown of Harrisburg, Pa. While at Penn State, he worked on piezoelectric micromachined ultrasonic transducers for medical imaging and sonotweezing applications. This research took him to Germany to work with ultrasound simulation experts. While the focus of his research has changed several times, a unifying theme has been the deposition and characterization of nanoscale material systems. He plans to continue along this theme, but with a new focus after graduation. 1. Summarize the research you are doing and explain briefly how it will impact society. Why is your research important? 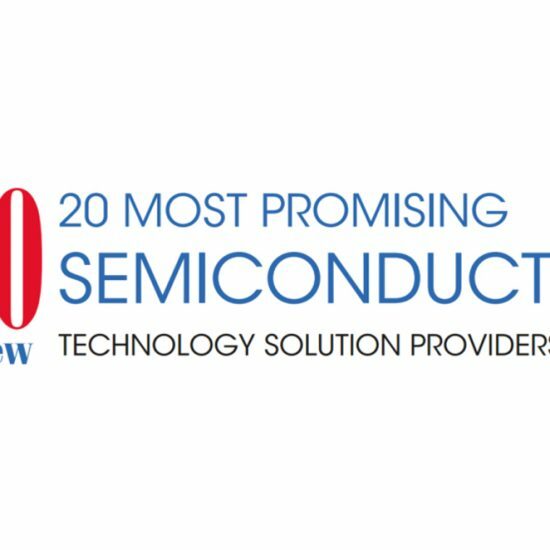 Nanoelectronics are a pervasive technology, but have not undergone a transformative technology change in decades. Epitaxial graphene, a single layer of carbon atoms arranged in a honeycomb lattice on a single crystal SiC substrate, is a promising technology platform to disrupt the silicon industry due to its unique electronic transport and robust thermal and chemical stability. However, despite billions of dollars in research, graphene technology has not trickled into industrial products, largely due to the need to reliably integrate graphene with dielectric and semiconducting materials to make useful and reliable electronics. Boron nitride, a dielectric isomorph to graphene, is an ideal candidate material which has been shown to preserve the electronic transport of graphene. Yet, to date, a scalable method to produce graphene-BN heterostructures has not been found. My research focuses on developing novel deposition techniques to enable epitaxial growth of boron nitride layers directly on pristine graphene surfaces, a necessary step to achieving industrially relevant graphene-based nanoelectronics. 2. 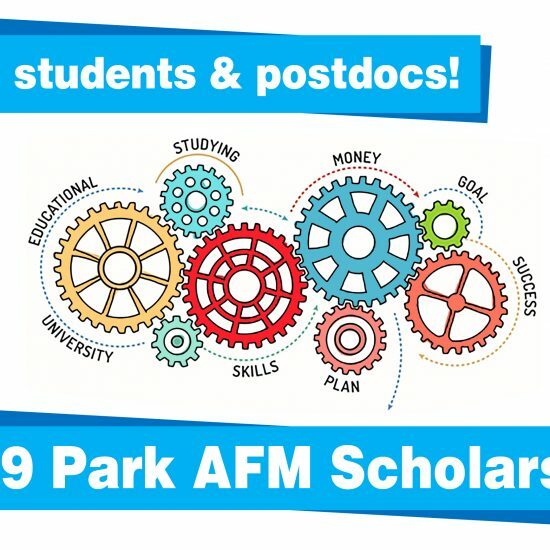 What is the most useful part of using Park AFM for your research? Please explain what features are most useful and why? 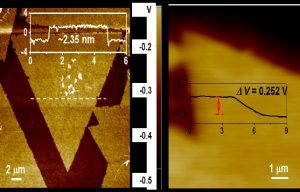 Graphene and BN are both 2D materials and demand a unique suite of characterization tools including scanning probe, electron microscopy, diffraction, and optical techniques. Scanning probe techniques are highly sensitive to surface topography and chemical states. 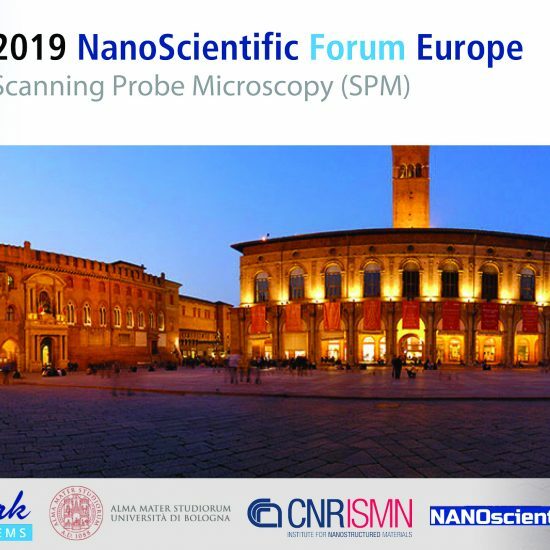 As such, the Park AFM provides us with a direct probe of the individual atomic layers and can aid in differentiating SiC, buffer layer, graphene, and boron nitride regions, which is extremely difficult with scanning electron microscopy. 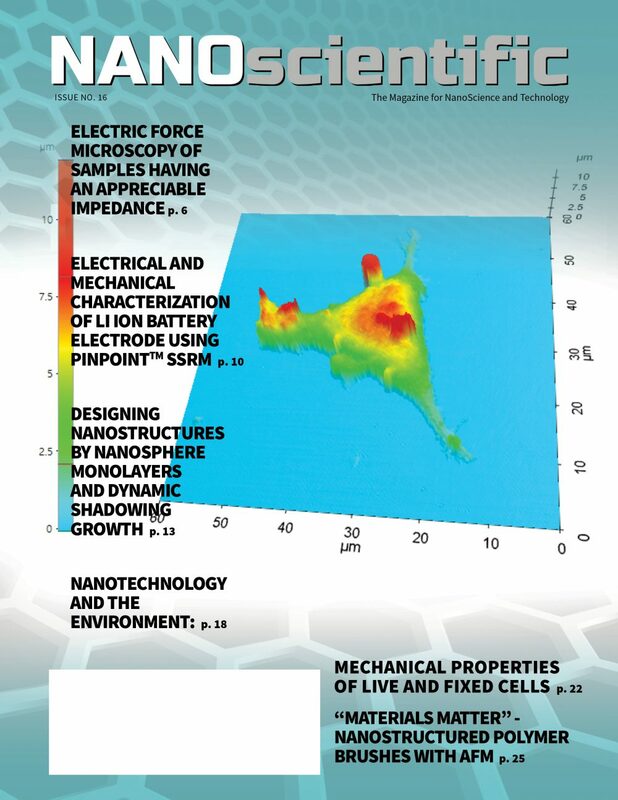 For this, lateral force microscopy (LFM) is vitally important and can identify nanoscale regions of graphene and boron nitride from the SiC substrate. Graphene and boron nitride, both sp2 bonded materials, interact only very weakly with the tip compared to SiC, which provides a stark imaging contrast. This information aids in our understanding of how these domains nucleate and grow, which guides the development of our custom deposition tools and processing conditions to achieve higher quality materials with more control over their morphology. A 20 nm thick boron nitride film deposited on a monolayer of eptiaxial graphene. This topographical AFM image shows the pleated BN surface which is indicative of a 2D layered structures due to the negative in-plane coefficient of thermal expansion. 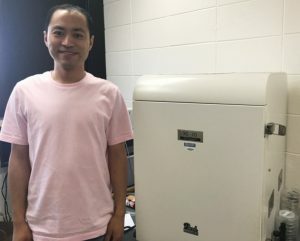 Xin Yin is currently a PhD candidate in the department of Materials Science and Engineering at University of Wisconsin-Madison. He joined Professor Xudong Wang’s group in 2012. His research interests include study of growth kinetics in various ZnO nanostructures, and synthesis and electronic properties of nanometer-thick 2D ZnO nanosheets. Two-dimensional (2D) nanomaterials, with just one or a few atomic layers, exhibit physical properties dissimilar to those of their bulk counterparts. However, the current 2D materials have been largely limited to naturally layered materials, like graphene and transition metal dichalcogenides. My research mainly focuses on the growth of two dimensionalnon-layered materials. With a unique growth method, single-crystalline nanometer-thick ZnO nanosheets with the size up to 20 micrometers are realized at water-air interface with surfactant monolayer as a template. More importantly, the thickness of ZnO nanosheets could be tuned from one unit cell to four unit cells. This is the first time to realize the growth of ultrathin ZnO nanosheets. On one hand, it provides an opportunity to study the electronic, photonic, and mechanical properties emerging from the ultrathin feature of ZnO. For example, our investigation has found that the work function shows monoclinic increase with nanosheet thickness. This thickness-dependent work function provides a good flexibility in designing heterojunctions withtunable band alignment. On the other hand, the research presents a strategy to boost the abundance of 2D materials through applying the unique growth method to other material systems. Since we focus on the synthesis of 2D nanomaterials, the characterization on the thickness of the nanosheets is important. Park AFM provides us with a high-resolution and reliable measurement of the thickness at the sub-nanometer level. Moreover, to locate at one specific position for the measurement of electrical properties, as well as the mapping measurement, such as the surface potential mapping and current mapping, provides a chance to recognize and investigate the property difference from point to point. 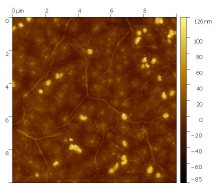 Left, topography image of one ZnO nanosheets, showing the thickness of ~2.35 nm. Right, contact potential difference (CPD) measurement of one ZnO nanosheets on Au-coated Si substrate, showing the CPD is ~0.252 V.